Ann Fahl is a quilt artist living and working in Mt. Pleasant, WI. USA. She has been sewing since the age of 12. Her parents were classically trained, professional musicians. As the oldest of three sisters she was expected to take piano lessons; and later learned to play the cello. Her parents impressed upon her the importance of finding a passion; which Ann did. It wasn't music, it was all the fiber arts, and the most important was sewing. Neither parent sewed but they did their best to find classes and women in the community that could help Ann with her sewing projects. Like most teenage girls, she became very interested in clothing and fashion. To her, sewing was a very enjoyable pastime, and she was good at it; so from that time on she made her own clothing. By the time she entered the University of Wisconsin, she was sure that sewing and clothing would lead her to a career in business and retailing. She went on to work for Gimbels, Marshall Field & Co., and several fabric chains. In 1978, she finally took the beginning quilting class that changed her life forever. In her early years, quilts never interested Ann, even though she grew up with old quilts on the beds at her grandmothers' homes. From the first night of the quilting class, she realized that this new media allowed her to put all of her loves together: sewing, color, texture, shape, thread and fabric. She could experiment and sew as she developed her own designs and ideas instead of using traditional blocks. A new world and career opened up for her! Ann began teaching in 1981, the year of her first blue ribbon quilt. 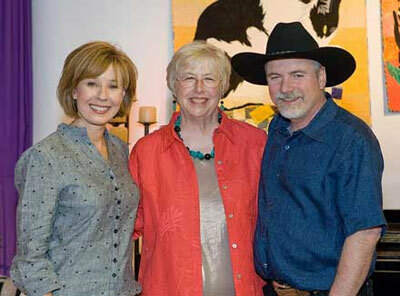 She has traveled across the US working with guilds, symposiums, retreats and quilters of all ages and experience. Now Ann has decided to spend more time in her studio; do some writing and genealogical research instead of teaching. 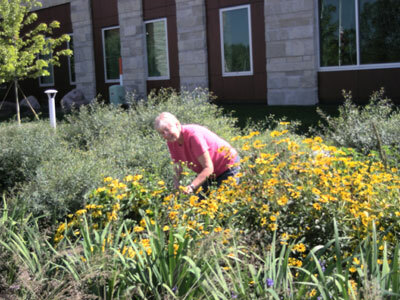 Gardening has also been one of Ann's passions so she became a Master Gardener in 2012. She wants to squeeze gardening time into her summer schedule! Her work has been exhibited in competitions, solo exhibits and invitational shows across the United States, France, Germany and Japan. Her work is included in the collections of Northwestern Mutual Insurance Co., Neiman Marcus, Quilts, Inc., Ripon College, Winona Lake Restoration and many private collections. She has always enjoyed the challenge and stimulation of quilt competitions. Since she has left the teaching world, she has discovered the challenge of family history research and study as an area where she wants to spend her creative energies. She has already published 3 books which were privately published for her family members;, and has plans for more. There will be some quilts made along the way, but not in the quantities she has produced in recent years. Ann still considers herself a quilter! 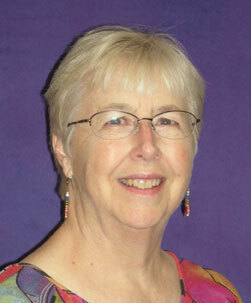 In past years, she has authored 2 books with C&T Publishing; Coloring with Thread and Dancing with Thread. Self published, A Black and White Tale is in full color, including 35 quilts which tell a story about her cat named Oreo. Click on the Book option on the left for more information. Ann also has an instructional DVD titled Coloring with Thread. It shows step-by-step how she creates her beautiful embroidery, gives a tour of her studio, and a peek at some of her new quilts. She has published a series of booklets about quilting. The first is titled Creating Beautiful Bias Binding available on her website. 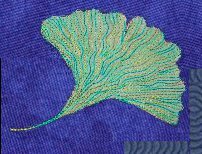 Binding the edge of a quilt or wall hanging is a challenge for new sewers and quilters. It gives complete instructions on all phases of binding; from quilt preparation to hand sewing the folded edge on the back. The second booklet is about sewing with metallic threads, always a challenge for quilters titled Mastering Metallics. There are loads of ideas and hints included to make projects more successful. Applique Ann's Way is the third in the series. Its 36 pages detail how-to instructions for 6 different methods of machine applique. All include fused shapes with a variety of edge stitched treatments. There are methods that are appropriate for quilters of all levels. Ann also has a blog where she writes about many issues of interest to quilters. Ann is married, lives with her husband and cat. Her two sons are grown and have helped to design this website.